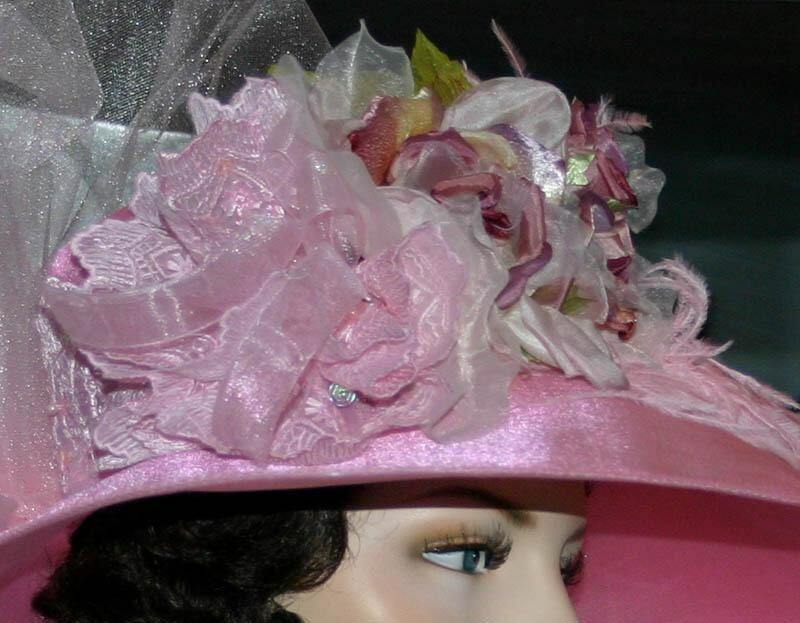 Edwardian Kentucky Derby Hat "Run for the Roses" is a gorgeous wide brimmed crystal organza base; it has an iridescent, but subtle sparkle in the sunshine. 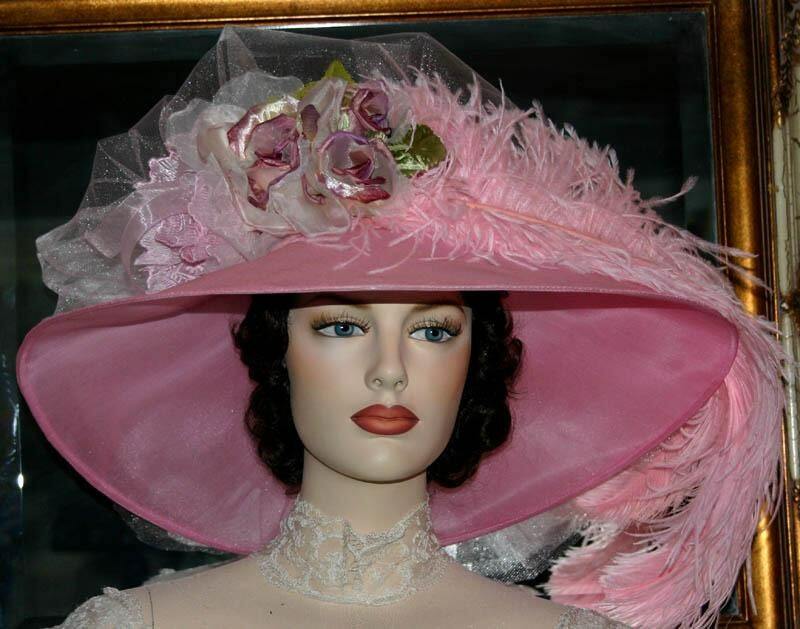 Beautiful organza roses; one full rose and two buds are accented with pink organza ribbon and embroidered pink organza lace as a rosette and also as the band around the crown of the hat. 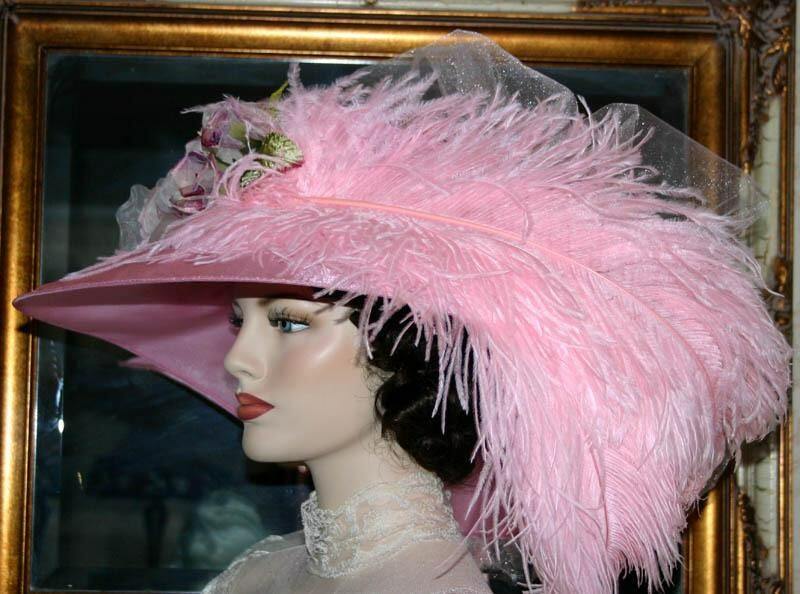 FOUR luxurious pink ostrich feathers sweep across the front and then cascades over the edge of the brim. 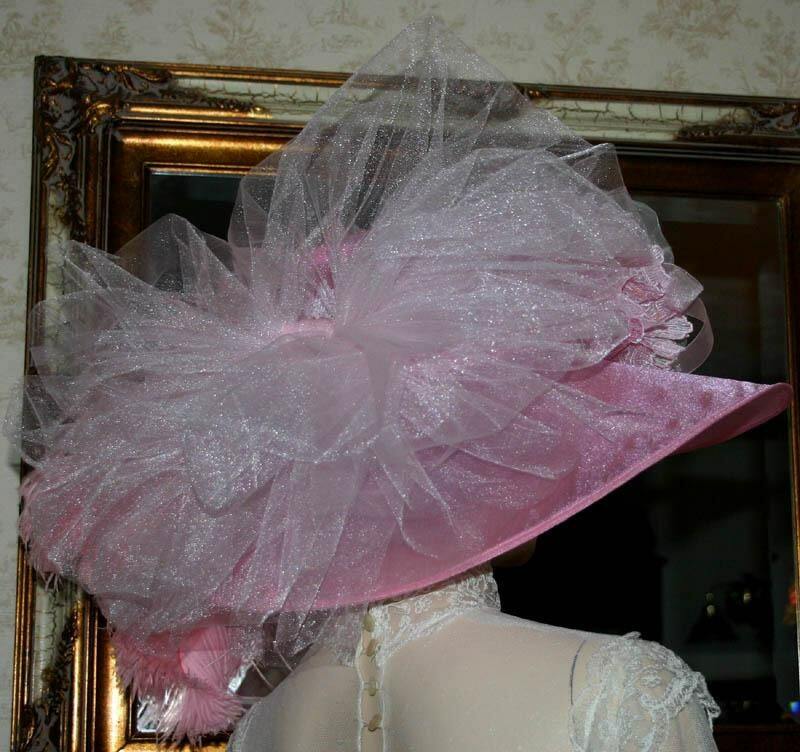 The back of the hat is graced with a huge sparkling pink tulle bow. 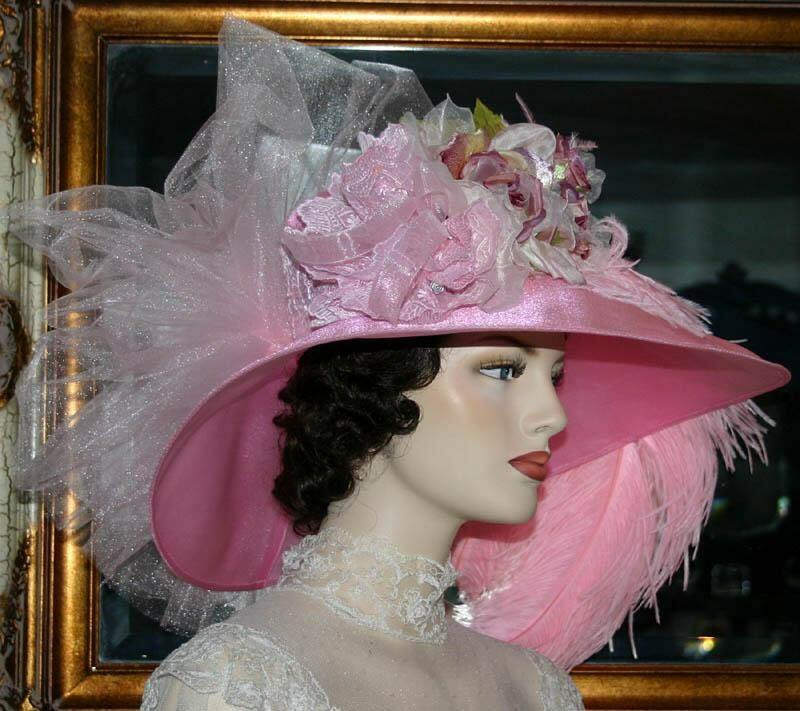 This hat will shade you in pure elegance as you sit in the grandstands at the Kentucky Derby.